The Visa® Buxx Card from Navy Federal Credit Union is a reloadable prepaid card specifically marketed to parents seeking a way to introduce their kids to responsible, risk-free card use. The card includes features that can help a teen learn how to maintain a monthly budget, manage their expenses and get the hang of using plastic for purchases. The card can also be used everywhere Visa® debit cards are accepted, which makes it almost universally accepted by retailers and ATM machines around the world. One caveat: The parent opening the account must be a member of Navy Federal Credit Union and either have a Navy Federal Visa® or Mastercard®, or checking or savings account with Navy Federal from which to load funds to the prepaid card. In this review, we’ll evaluate how the Visa® Buxx Card works and how it compares with other prepaid cards. The difference between a prepaid card and a conventional credit card is that your spending limit is established by the amount of money you deposit into the card’s account. You determine how much you want to load on the card, and when funds dwindle as the card is used, you simply “reload” funds or deposit more money so the cardholder can continue making purchases with it. Since no credit is actually being extended, virtually anyone can qualify for a prepaid debit card even with no credit or terrible credit. These characteristics of a prepaid card can be a useful product for a parent wanting to teach a teen how to responsibly manage a card account. Know that prepaid cards don’t report to the credit bureaus, so they won’t help build a credit history or credit score. With a prepaid card, your teen won’t have access to your own credit – preventing them from making first-time credit mistakes, such as racking up unapproved purchases or leaving you with a surprise bill at the end of the month. They do, however, get a legitimate card. It’s like giving them a credit card with training wheels, versus adding a teen as an authorized user to one of your existing cards. 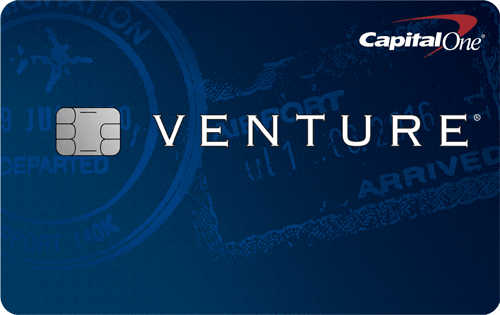 The Visa® Buxx Card is a bit different than other prepaid cards on the market. For starters, this card is marketed toward parents looking to give their teen a simple payment method that can teach them responsible credit behaviors. Unlike most prepaid cards that require cardholders to be at least 18 years old, this card is available for those as young as 13. While there is no cost to open this card and relatively minimal fees overall, there are still a few fees you may incur. However, you may be able to avoid those fees by using in-network ATMs, consistently using your card or simply keeping track of your card’s whereabouts. 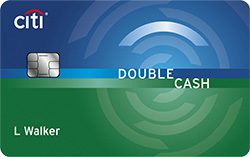 The Visa® Buxx Card can be used to make purchases similar to a typical credit card, but cardholders are limited by the amount of money loaded to their card. Your teen can use this card anywhere Visa® debit cards are accepted. Cash withdrawals are also an option and can be done for $1 at NFCU, CO-OP Network® and CashPoints® ATMs. Account alerts: Both parents and students can receive free text message alerts for low balances, daily available balance, value loads and more. Parental controls: Parents can set spending limits and even suspend the card at any time. Protection against unauthorized transactions: If your student’s Visa® Buxx Card is subject to theft or damage caused by eligible events, Navy Federal will replace, repair or fully reimburse them for the amount debited from the card. Roadside dispatch: This is a pay-per-use roadside assistance feature that sends help to your student if they experience automotive issues. Family and friend reloads: Parents have the ability to authorize other parties, such as family and friends to add funds to their student’s card. Note, family and friends must also be Navy Federal members. If you shop at Walmart, you may have seen the Bluebird by American Express at checkout. This prepaid card has minimal fees, numerous cardholder perks, and easy reload options — making it a great alternative to the Visa® Buxx Card. The Bluebird by American Express is open to nearly everyone in the U.S. (except Vermont, Puerto Rico and U.S. Virgin Islands residents) and costs $0 to open online. We recommend opening a card online since purchasing the card at Walmart or other retail locations costs $5. Opening cards for your teen: Both the Bluebird by American Express and the Visa® Buxx Card allow you to open cards for teens as young as 13 and set various parental controls, such as spending limits. Where the Bluebird by American Express stands out is is the ability to utilize a family account with up to four cards and you don’t have to be a member of Navy Federal Credit Union. So, if you have three teens, you can add them to your account and manage each teen’s card from one account. Additional perks: The Bluebird by American Express also has a more robust set of benefits compared with the Visa® Buxx Card. Bluebird by American Express cardholders have access to American Express perks like Amex Offers, exclusive access to entertainment events, the Global Assist® Hotline and more. ATM fees: An area where the Visa® Buxx Card beats the Bluebird by American Express is ATM locations and third-party ATM fees. The Visa® Buxx Card has thousands more ATMs and charges $1.50 less per third-party ATM transaction. The information related to the Bluebird by American Express has been collected by CompareCards and has not been reviewed or provided by the issuer of this card prior to publication. The Visa® Buxx Card can be a great way to teach your teen about responsible credit behavior and have them practice using plastic before they open their own credit card. The parental controls provided by Navy Federal allow you to easily monitor and control your teen’s spending so they stay within your guidelines. Once your teen turns 18 and has learned to use the Visa® Buxx Card responsibly, you may want to consider adding them as an authorized user to your credit card or have them apply for a student credit card as long as they can show a steady income on the application.